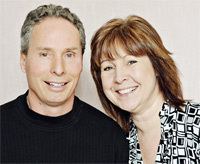 Meyer Chiropractic is a wellness-based chiropractic office in Tillsonburg. We use this website to explain to Tillsonburg and area residents what wellness chiropractic is. Are you looking for a natural solution to headaches or back pain? Or perhaps ways to get well and stay well? You’re in the right place! Chiropractic is drug-free. Chiropractic is safe and natural. Chiropractic is backed by research. And chiropractors enjoy one of the highest levels of patient satisfaction in the health care industry! Take the first step towards relief by calling our office today. We have been serving people with all manner of health concerns and conditions for over 29 years.